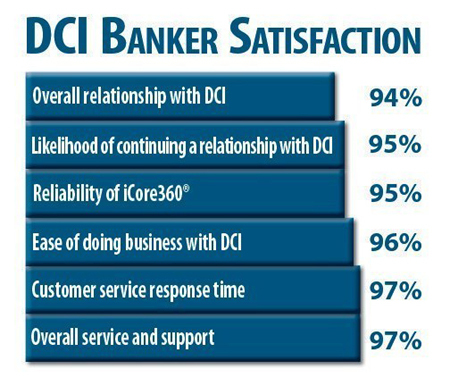 Data Center Inc. (DCI), the privately-owned developer of iCore360® core banking software and related technologies for community banks nationwide, once again proved that their brand of personal service generates high customer satisfaction and loyalty. DCI received a 100% response rate to its 2015 annual customer satisfaction survey of iCore360° clients who ranked their satisfaction with DCI performance on 33 metrics. The average satisfaction score over all survey categories was an impressive 96.5%, continuing a decades-long trend of ratings over 95%. Of all respondents, 77% rated their overall satisfaction with a score of 93% or higher, and 60% rated their satisfaction with a perfect score of 100%. 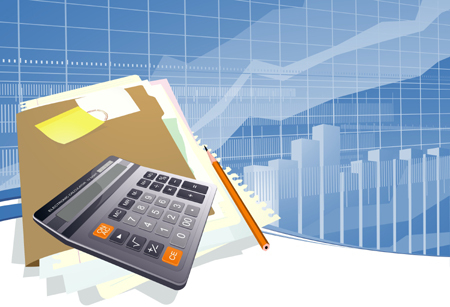 DCI continued to boast a 100% voluntary client contract renewal rate in 2015 and is on track to repeat that goal in 2016. “Our relationship with DCI is more like a partnership than a vendor and client,” said Mark Duffy, President, Mountain Pacific Bank, Wash. The company’s high customer satisfaction is due largely to its highly personal service and collaborative relationship with each customer through live support 24/7/365, quarterly customer relationship visits, customer-led user-groups, annual conferences, access to executives, and free training. DCI also achieved significant industry recognition in 2015, being named a 2015 FinTech Forward Top 100 Technology Provider by American Banker and BAI, winner of the 2015 BankNews Innovative Solutions Award and the exclusive core processing solution endorsed by the California Bankers Association.